I had a lovely girlie weekend in Rome with Debbie at the end of her last ever Italian work trip. This involved much sightseeing, shopping, eating, cookery classes, culture and cocktails. We had 3 days to see the sights of Rome. 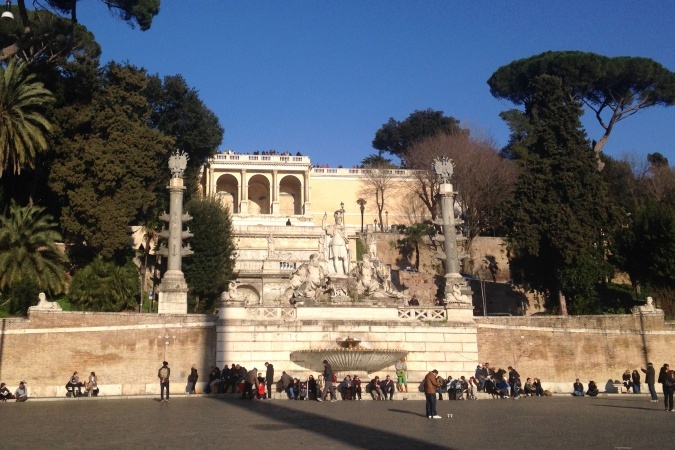 We began gently with a little shopping and then some geocaching in Piazza del Popolo. On the Saturday and Sunday we concentrated on exploring the streets and squares near our hotel. Piazza Navona being a particular favourite for coffees, cocktails and al fresco dining. Debbie booked us up a fabulous cookery lesson in Rome for Saturday morning and Saturday lunch. What a brilliant experience this was. Assisted and guided by Chef Andrea, we prepared and cooked 4 courses in a group of about 12, and then sat down to eat our efforts.